Morris Street Working Mens Club, Skittles Team Trophies. 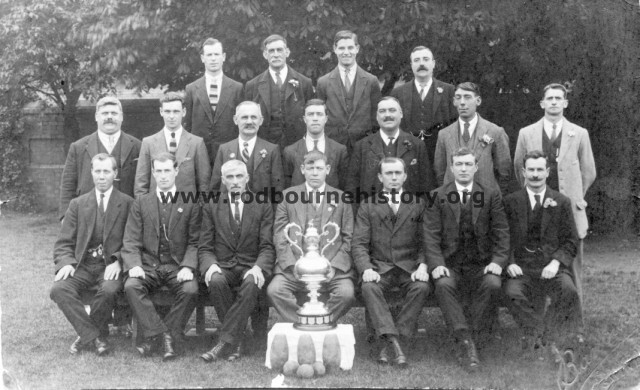 Group Photo info – Large Cup at the Back is the Usher Cup for the Swindon Affiliated Clubs Skittle League. 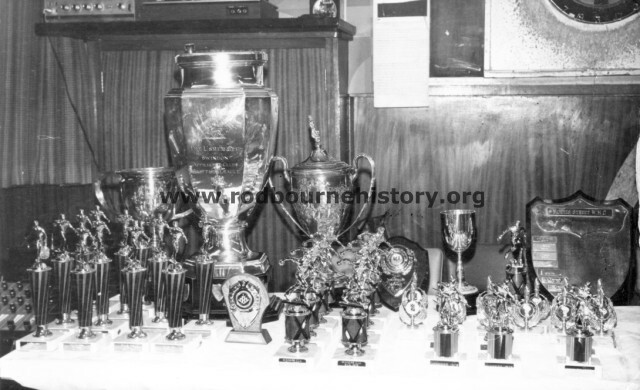 Subject – Morris Street Working Mens Club, Skittles Team Trophies. Morris Street Working Mens Club, Skittles Team. Group Photo info – ? ? ? ? Photo taken by Barbury Studios, Faringdon Road, Swindon. 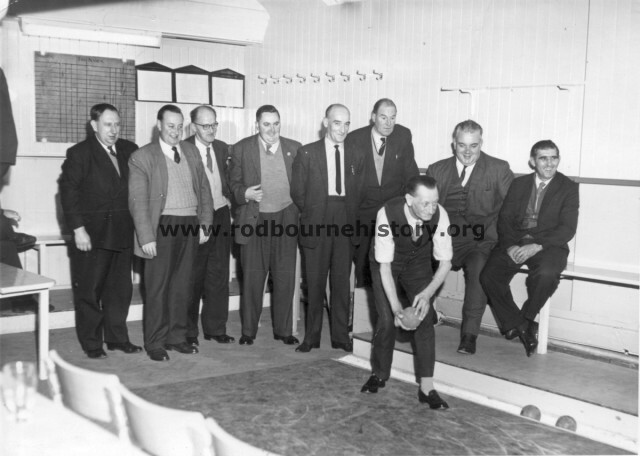 Subject – Morris Street Working Mens Club, Skittles Team. Additional Info – Morris Street Working Mens Club skittles team in we think the Dolphin Hotel Garden as the wall architecture in the background is the same as the Dolphin’s old wall. Morris Street Working Mens Club, Overseas Skittles Team. Group Photo info – ? ? ? ? ? 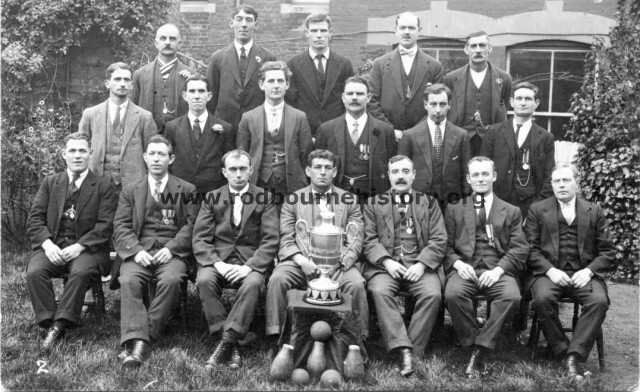 Subject – Morris Street Working Mens Club, Overseas Skittles Team. Copyright © 2009 Rodbourne Community History Group. All Rights Reserved.